Consumers continue to turn away from using cash for everyday transactions and are relying more on digital payments, according to a new report from Ally Bank. The bank examined a wide-ranging collection of data, from its own ATM withdrawals to recent analysis by CivicScience, the Federal Reserve, and Forrester. The emerging picture is of a consumer who is turning to debit cards, credit cards, and mobile wallets on a more frequent basis. In an accompanying survey, three out of every four Ally customers said they primarily use a credit card when purchasing goods and services in stores. Fewer than one in 10 Ally customers indicated that their primary form of payment is cash. The study shows the number of Ally customers with a checking account who use an ATM has fallen by an average of 4 percent since 2016. Visits are down from an average of almost 2.6 times per month in August 2016 to a little more than 2.4 times a month in August 2018. The average dollar amount withdrawn per month has also declined. "Customers want convenience and a credit or debit card eliminates the guesswork in how much cash might be necessary when running errands, dining out or simply day-to-day expenses like gas, parking or coffee," said Diane Morais, president of Consumer and Commercial Banking Products at Ally Bank. Using a rewards credit card, or a debit card that rewards the account holder with interest on checking for making a certain number of transactions, can also benefit a consumer. But it requires the user to keep track of spending that is harder to do than spending cash. When using a cash, a consumer may be more aware of their limits. 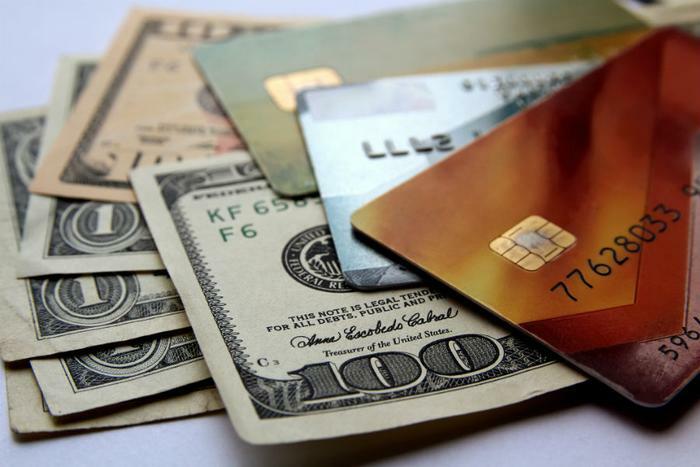 Even Discover, a credit card company, concedes there are benefits to paying with cash. "Tangible currency can be easier to manage," the company says on its website, addressing the pros and cons of cash and credit. "Some people feel that the act of counting their money and handing it over gives them a better appreciation for their savings and makes them less likely to overspend." But Morais says digital payments make it easier for consumers to track their spending, if they'll take the time to do it. "In addition, there is the benefit now being offered by many card issuers of being able to immediately turn a debit card or credit card on or off," she said. In the future, ATMs may be gathering more dust. Almost half of Ally customers who participated in the survey said they rarely or never visit an ATM, although it's possible many obtain cash back through retail transactions, such as supermarket purchases. A Forrester study also showed ATM use had declined to just a little more than once a month in the past 12 months.